Paris Premium Limo offers professional services personalized to you. We offer a variety of service classes so you can choose the right vehicle to fit your needs. With Paris Premium Limo, you can count on high quality vehicles with professional and experienced chauffeurs behind the wheel. All of our drivers are multilingual and can speak English and French, but we also offer Russian, Arabic, and Spanish speaking drivers who are available upon request. Our team remains at your disposal seven days a week, to respond to your requests. At Paris Premium Limo, we take the stress out of planning your corporate transportation, leaving you free to concentrate on growing your business and ensuring your whole business is a success. Paris Premium Limo’s Chauffeured Transportation has brought unparalleled service and quality to the world of corporate travel and luxury transportation. Corporate Meetings and Special Events, and Luxury Hotel Transportation is where we have made our reputation. As the premium chauffeur service in Paris and want to provide you and your company nothing but the best. 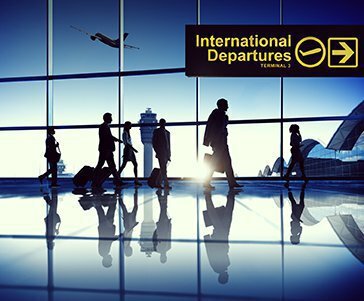 Our drivers are at your disposal to accompany you for all of your business travel. We will do everything to meet your expectations and we welcome you alone or in a group for any type of occasion. For your airport and railway station transportation, the driver will be waiting near the flight arrival gate or at the exit of the train with nearby professional parking and reserved places. Our drivers will be on call and we will accompany you for several hours or several days depending on your requirements. For specific meetings like seminars and conventions, we offer optimal logistics of all of your possessions and equipment. We also provide transportation for unaccompanied packages. Paris Premium Limo prides itself on transparency, which is why you won’t receive any hidden fees when you book a business chauffeur with us and the price you see is the price you pay! Contact us for more information or book your chauffeur online today!